Genetic Homeland Finder plots genealogy records on a mapping system so that you can visualize your genealogy data. See how multiple surnames and data sources intersect to help overcome ‘brick walls’ in your genealogy. Built for PC, Mac, mobile phone or tablet use. No registration fees. No monthly subscription fees. 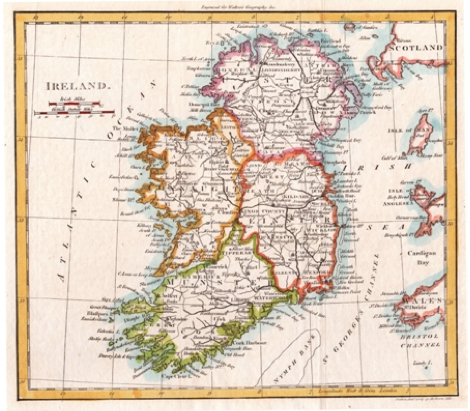 We have digitized an original 1798 Walker Map of Ireland and will be offering it in our Genetic Homeland Finder maps. 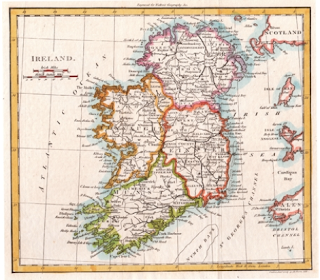 This exciting new map layer will debut on October 18th in conjunction with the Genetic Genealogy Ireland 2013 conference. You will also be able to save a customized version of the map with your ancestral surnames plotted. We are offering 6 surname & data search credits free to attendees of the Genetic Genealogy Ireland 2013 conference in Dublin on October 18-20, 2013. This offer is on top of the 6 free credits we normally grant for new users. Offer expires October 27, 2013 and is limited to those with a valid registration for the conference. Limit one user account per person. To redeem the credits, please pick up a leaflet at the conference.